The AP Photo Guider is a lightweight star tracker for long exposure astrophotography having the same precision of the AP mount and the ease of portability. The AP Photo Guider comes equipped with the Star Book One controller that provides you both accurate tracking for hours and comfortable operation. 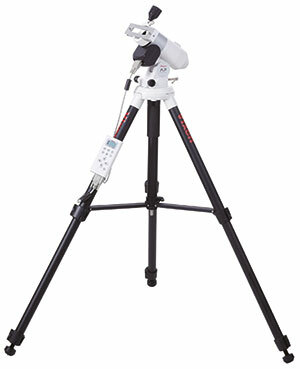 A moderate Telephoto lens used with the AP Photo Guider will produce images of well known bright Messier objects. The AP Photo Guider is upgradable to the AP-SM mount with optionally available parts. Please note the AP Photo Guider is available to special order only.